Luleå was founded in 1621 around the medieval church in Gammelstad, but was moved in 1649 to its present site 10 km nearer the sea. The whole church village of Gammelstad has been included on the UNESCO World Heritage List. Luleå has 73,000 inhabitants, making it the 26th largest municipality in the country. Luleå is a large port of export, as well as being the economic, administrative and political centre of Norrbotten – taking up a quarter of Sweden. The commercial and industrial life has a wide base: steel and engineering industry, many IT-companies, commerce, experiences and leisure. Sweden´s fifth largest airport is situated in Luleå. Stockholm is only one hour away on one of the approximate 15 daily flights. Luleå´s geographical position and highly developed infrastructure make the City a centre of communications in the Barents Sea region. The numbers of conferences and congresses have increased substantially the last few years. The capacity for conferences amounts to 4000 and the largest venue, the new arts and conference centre (Kulturens Hus) can accommodate 1000 participants. There are 1700 hotel-beds in Luleå and 2000 more in the region. 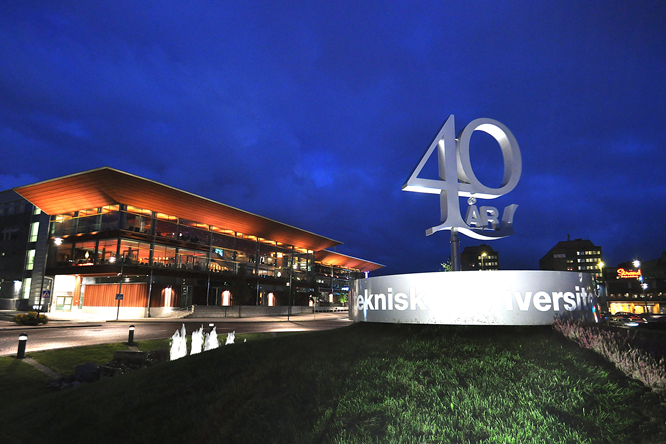 The congress will be held at 'Kulturens hus' in Luleå. For more information on the 'Kulturens hus', please click here. For map on 'Kulturens hus', please click here.